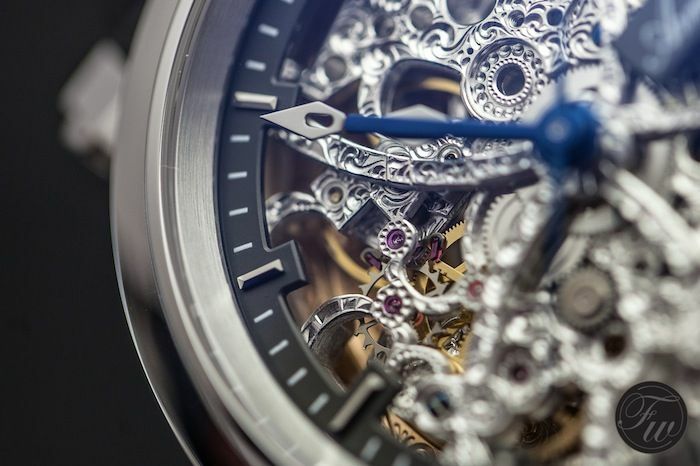 My first encounter with the Armin Strom Manufacture and their work was with a skeletonized OMEGA Speedmaster watch. 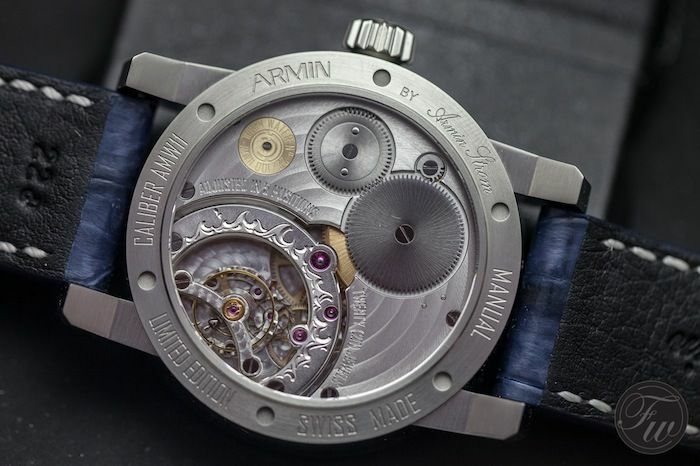 That’s right, Armin Strom has worked for 10 years on various skeletonized OMEGA timepieces. 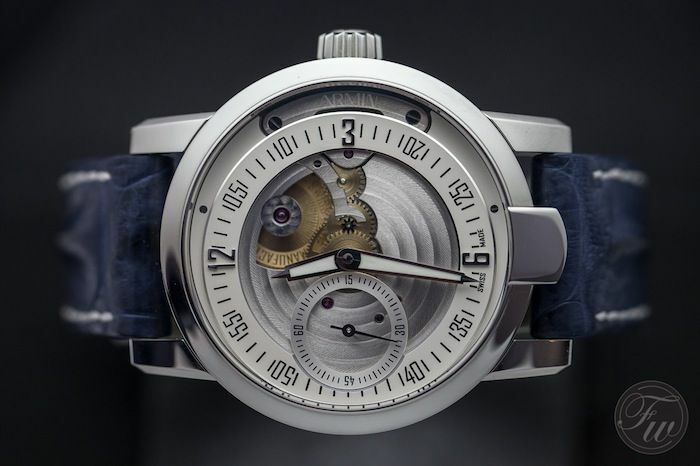 However, in the 40 years being active as a watchmaker and engraver, he also started working on his own timepieces since 1984. 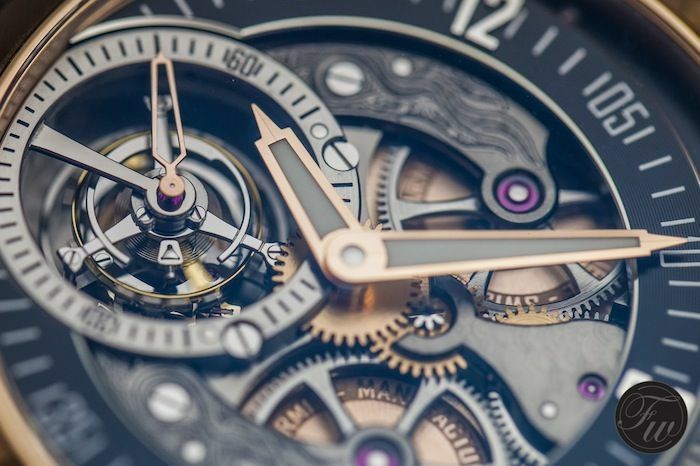 During the years, his business – both for other companies and his own – grew and in 2009 the Armin Strom AG moved to a large production facility in Biel. 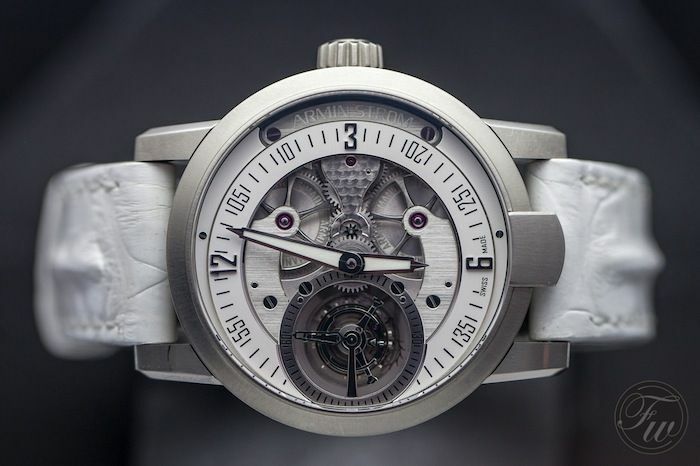 This was also the year that Armin Strom introduced their first in-house developed and manufactured movement, the ARM09. 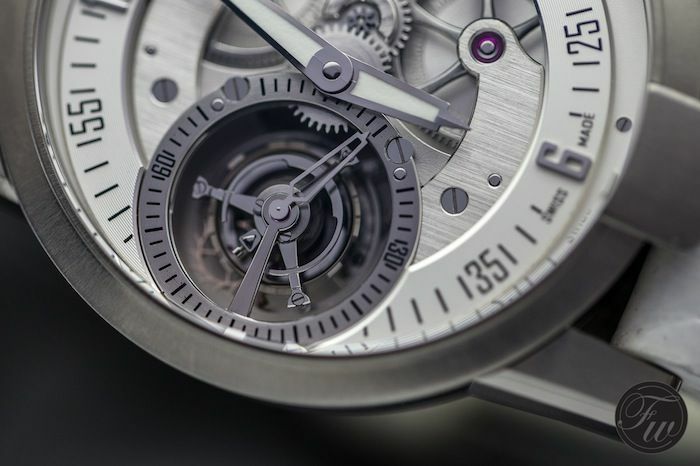 During the Baselworld 2013 exhibition we paid a visit to the Armin Strom booth and had some time to finally see some of their watches in the flesh and take some photos. 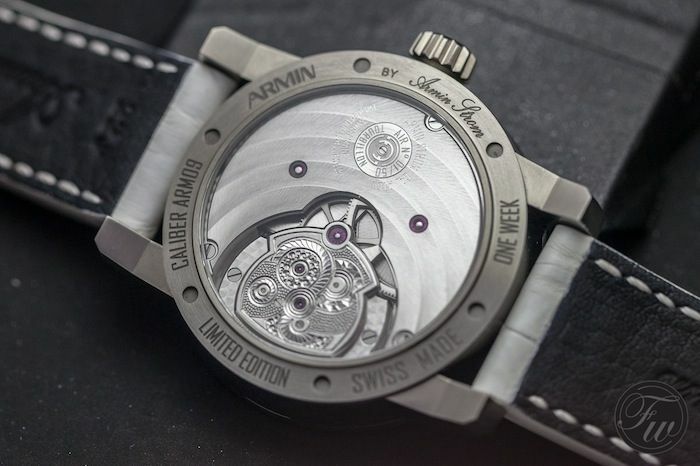 And Armin Strom himself? He officially retired in September 2011, but he is still involved in the company as an advisor and as an investor. However, when we visited the Baselworld booth he was present as well. 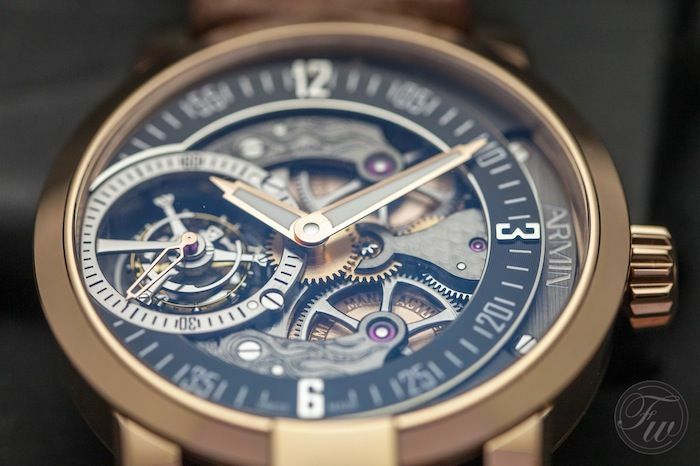 Our photographer Bert Buijsrogge captured a few watches from the Armin Strom Manufacture. 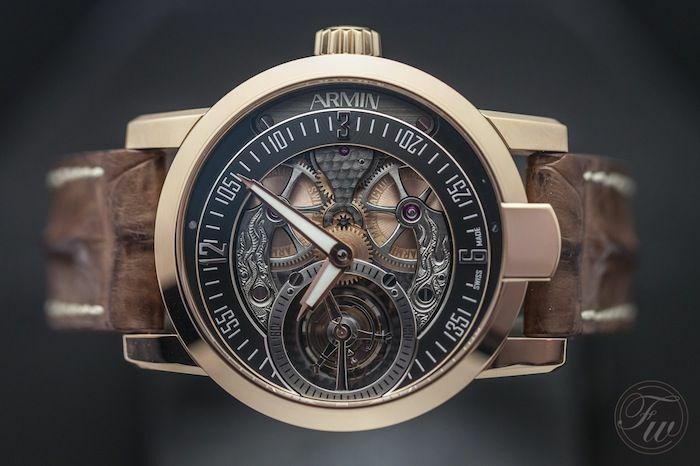 All watches of the Armin Strom collection feature – of course – hand engraved and skeletonized movements and a watch case with a ‘lip’ at 6 o’clock. This lip was initially there to have the owner’s initials engraved for example, but we’re not sure if this is still a common request from their clients. 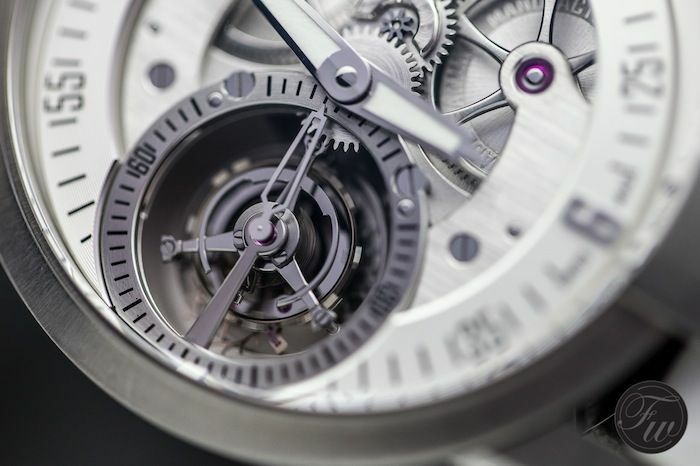 The watches with in-house developed movements start at a price of 9900 Swiss Francs (including VAT) up to over 100K Swiss Francs for the Tourbillon models. 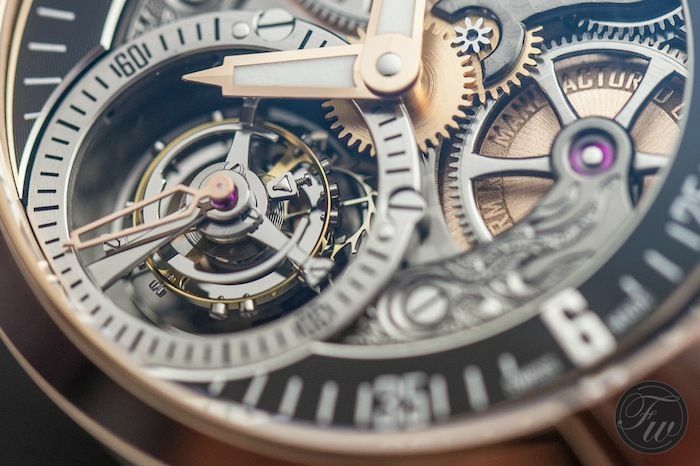 In this photo essay, we show you watches from the Skeleton, Gravity, Manual and Tourbillon collections. 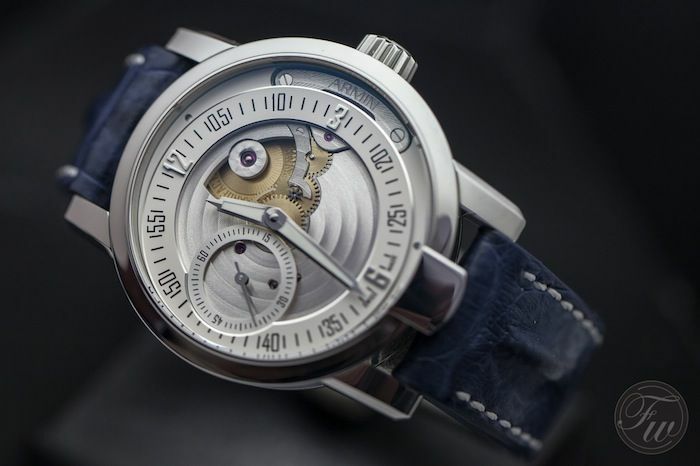 The watch below is from the Skeleton collection and goes by the model name of Blue Chip Automatic Skeleton. 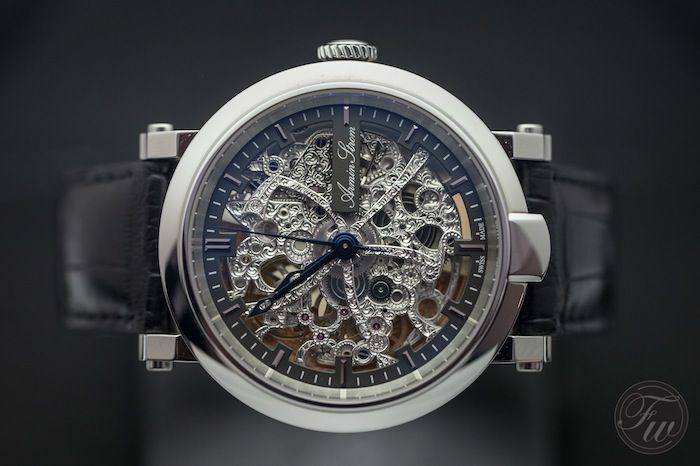 A 46.5mm diameter case made out of stainless steel and featuring a hand skeletonised and hand engraved movement. 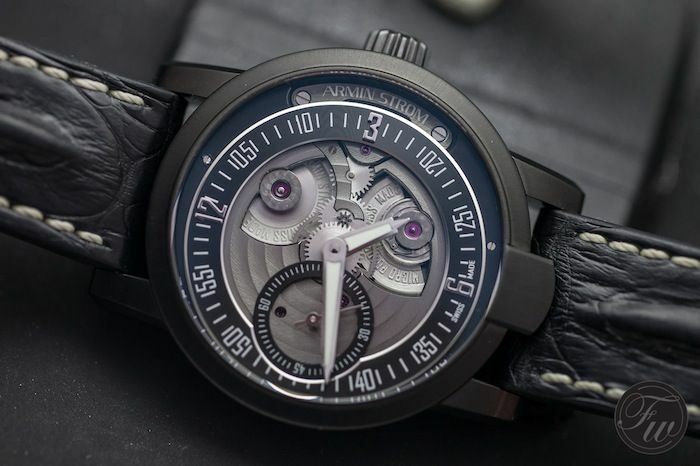 This watch has an anthracite dial although Armin Strom prefers to talk about ‘rings’ as most of the dial has been left out to show the craftsmanship of Armin Strom’s team of engravers. 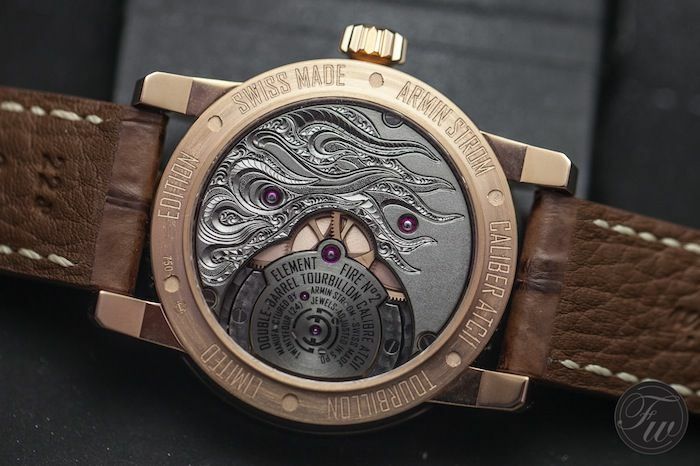 This is actually our personal favourite, the Gravity collection with its automatic movement models ‘Water’, ‘Fire’, ‘Air’ and ‘Earth’. These models start at 11.900 Swiss Francs and feature the in-house developed manufacture movement caliber AMR13 with a 5-day power reserve. 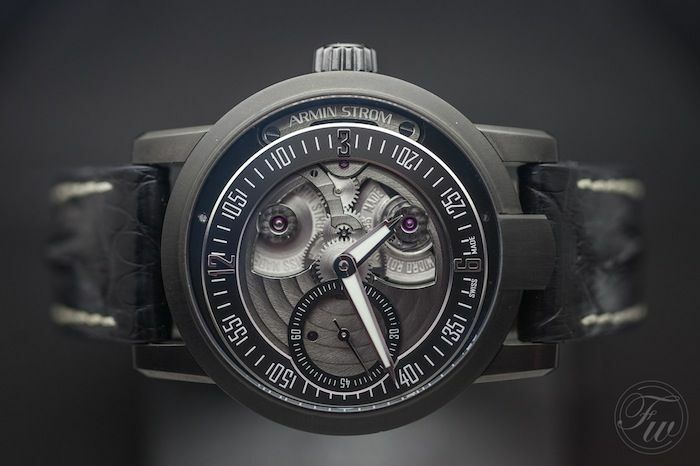 The distinctive case (with lip) and the clearly visible hand skeletonised and engraved movement are unmistakeably Armin Strom. Chances are very small that you will meet someone else with the same watch during a business meeting. 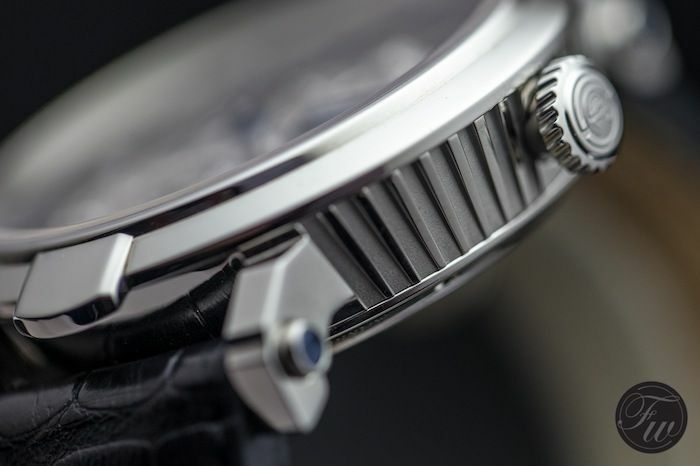 Below, the Gravity Earth which is limited to 100 pieces only (43.4mm diameter PVD case). Almost similar to the Gravity collection, the Manual collection also consist of 4 models called ‘Air’, ‘Fire’, ‘Earth’ and ‘Water’. 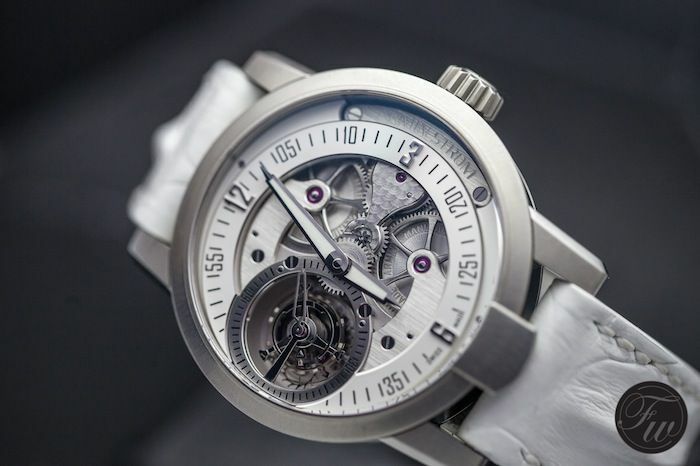 With a starting price of 9.900 Swiss Francs, a nice alternative for the Gravity collection. Below, the stainless steel Manual Water model. 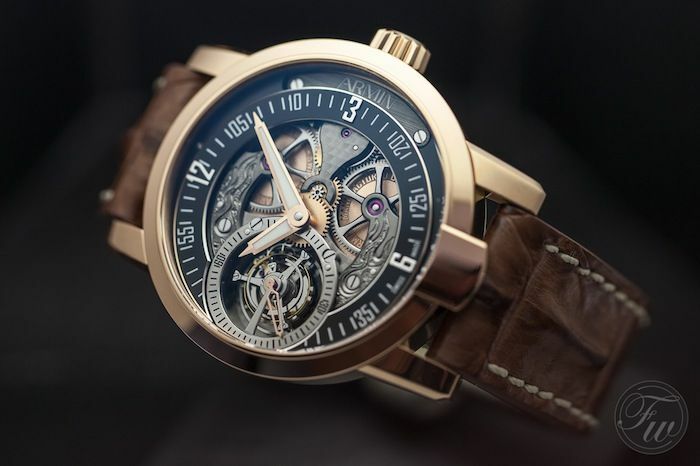 We show you two tourbillon versions from the Armin Strom Manufacture, the Tourbillon Air from the Tourbillon collection and the Tourbillon Fire from the “Coffret Tourbillon” collection. The latter comes in four sets of four watches (again: Air, Earth, Fire and Water). 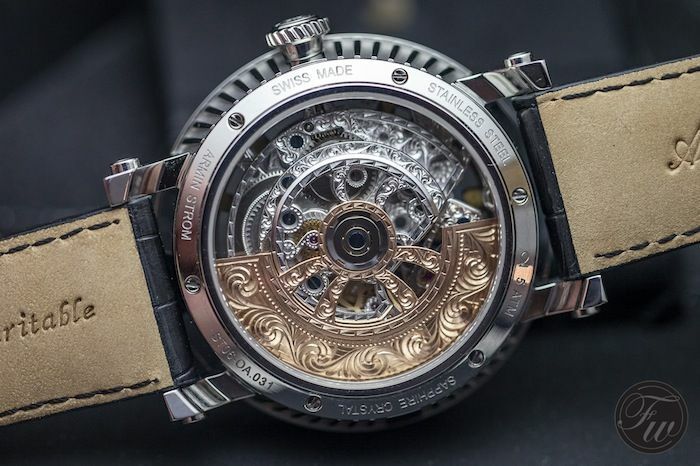 Both models have the in-house developed caliber ATC11 movement, but the Coffret Tourbillon has hand engraved flames on the plate and bridges. The Tourbillon collection is limited to 50 pieces of each model, where the Coffret Tourbillon comes in the sets as described above. 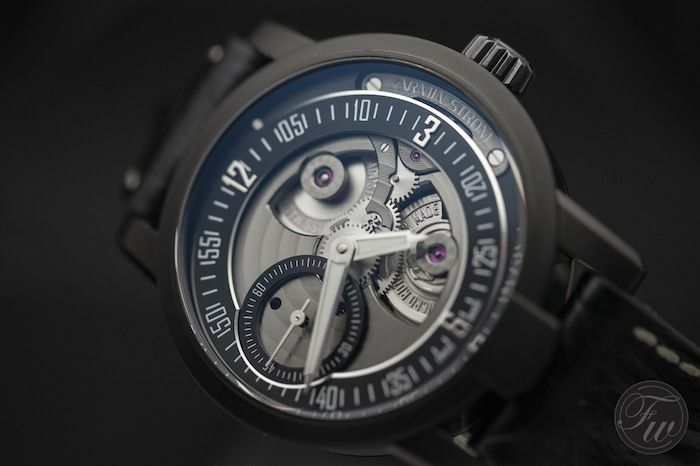 More information on the Armin Strom Manufacture can be found on the official website.